When you choose to live at Arbour Square of Harleysville in Montgomery County, PA, you’ll have all the everyday conveniences you could ask for, and even more that will surprise and delight you. With entertaining activities, savory dining options, and a selection of life-enhancing therapy services, you’ll always be happy coming home to Arbour Square. 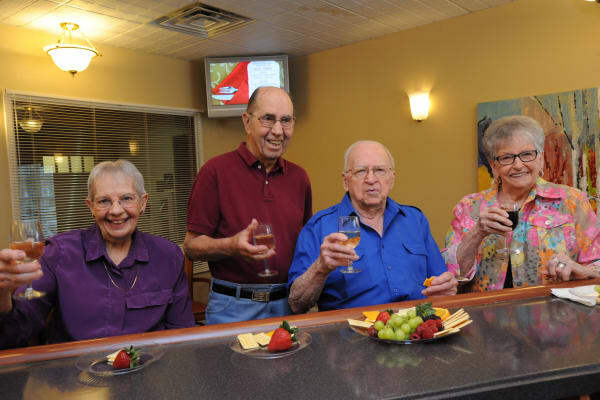 If anyone is looking for an independent living, retirement community; do not look past Arbour Square of Harleysville. My Mom lived there for 31 months until she decided she needed a little hire level of care. Reluctantly moving there after 53 years of home ownership she quickly adjusted. The residents and the staff played the biggest part. She quickly made friends. My brother and I were always commenting how nice everyone was. It would be unfair to single out any one staff member because all where great to my Mom, however I would like you to know there is truly some exceptional people, from maintenance to culinary to housekeeping. My Mom thrived there because of them, and I thank them. The people at Arbour are what make it, but I would like to comment on the amenities. The place is so clean and bright. There was always something to do if my Mom chose to do so. I liked visiting her and shooting pool off the dining area. One time I was there with my family and my granddaughter asked; if her and mommy could get an apartment there. She was serious; I thought to myself, this would be nice for my wife and me when the time comes. 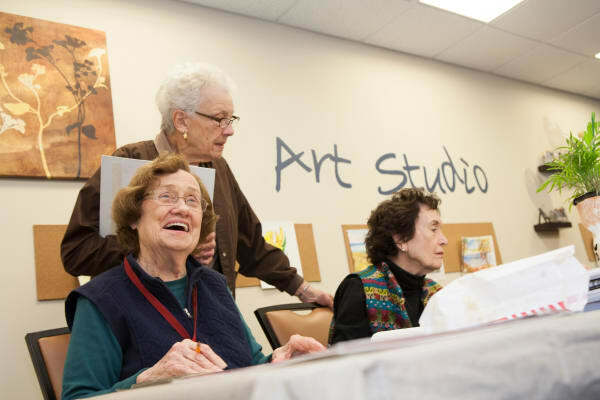 From painting classes to pool tournaments, there’s always something fun to do at Arbour Square of Harleysville. Join us for a planned social gathering or volunteer to help fundraise for a local charitable organization. Whatever your interests, we’re sure to have an option that will keep you entertained. Treat yourself to a healthy, delicious meal at Arbour Square of Harleysville. We offer two great dining options for residents to choose from. Stop in at The Fabulous 50’s Cafe for our daily continental breakfast, or take advantage of the convenient “Grab and Go” lunch and dinner options. Craving a home-cooked, fresh-prepared meal? Chef Dave is whipping up tasty lunches and dinners in the Garden Terrace Dining Room. 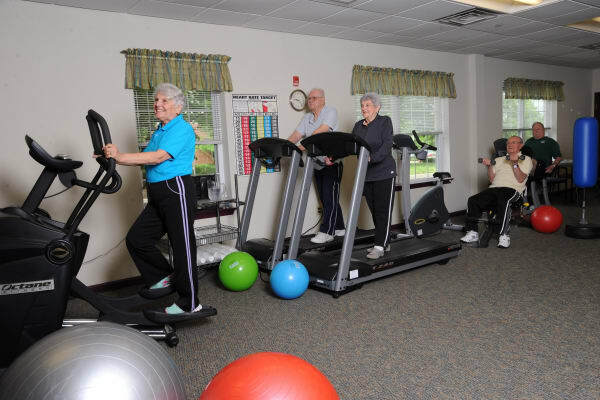 At Arbour Square of Harleysville, we want you to live happy and healthy in our senior community. 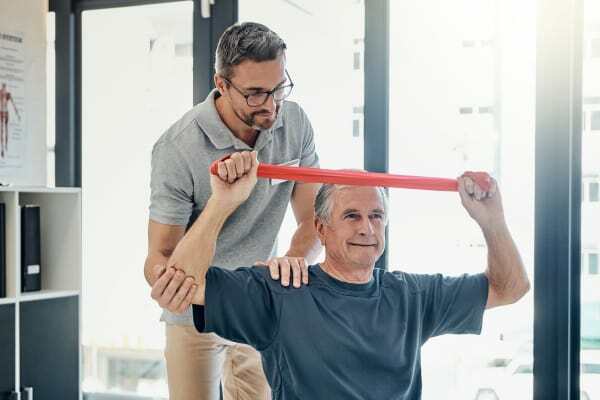 That’s why we are proud to offer The Wellness Plus Program by Senior Therapy Services. With a personalized wellness program, we work with you to meet you where you are. Enjoy a variety of activities, including stretching/flexibility exercises, and access to complimentary fitness classes.